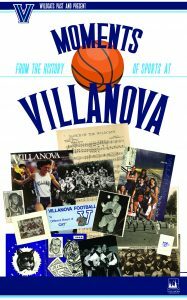 Special Collections and University Archives, at Falvey Memorial Library, join in the celebration of Villanova University’s 175 anniversary, (1842-2017), with a collaboration of materials to present the exhibit, “Wildcats Past & Present: Moments from the History of Sports at Villanova,” featuring assorted and unique items representative of the varied sports played at Villanova College, and later Villanova University. The exhibit, located on the 1st floor of the Library, launched at the beginning of September, 2017, and will run through to the end of the fall semester. 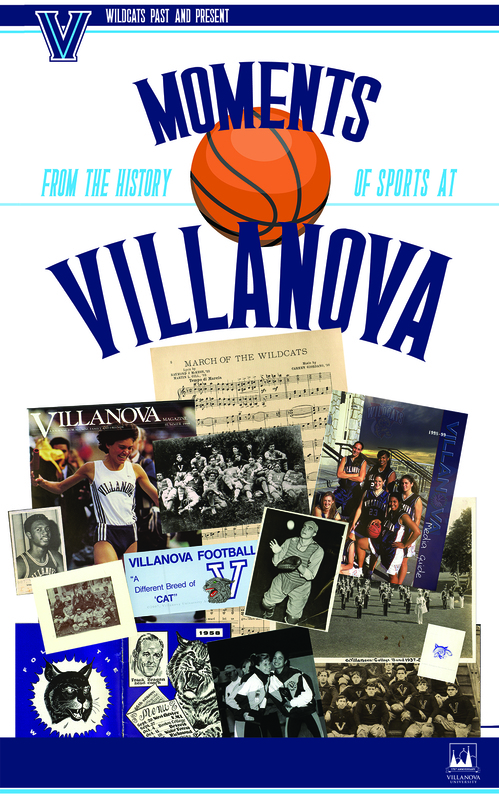 The items that form the “Wildcats Past & Present” exhibit, such as sport programs, basketballs, baseball, photographs, newspaper clippings as well as championship memorabilia are from University Archives’ collection along with books and scrapbooks from Special Collections. Curated by Susan Ottignon (Collections Librarian) with assistance from Laura Bang and Michael Foight. Graphics by Joanne Quinn. Based on a legacy exhibit curated by Teri Ann Pirone. The digital exhibit is now live and can be viewed here.